A Nonpoint Source Implementation Strategic Plan (NPS-IS Plan) is a guiding document that will allow local entities to effectively propose and implement projects using specific kinds of federal funding. In Ohio, eligibility for these grant programs will be restricted to projects summarized an approved NPS-IS Plan. These plans are an update from the previous guiding documents called Watershed Action Plans (WAP). 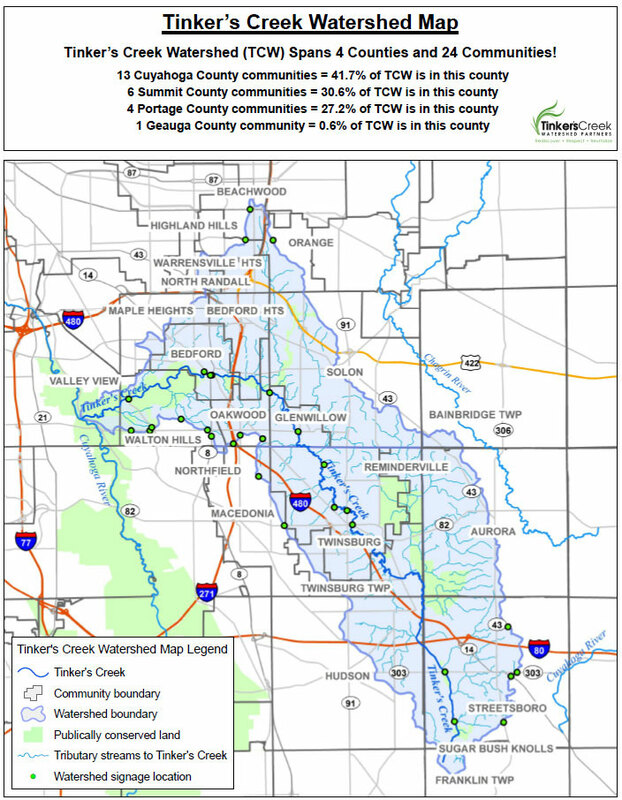 Tinker’s Creek Watershed currently has all three NPS-IS Plans endorsed by both the Ohio EPA and U.S. EPA. You can read these plans here on our website. The United States Environmental Protection Agency has recently released their new guide Green Infrastructure in Parks: A Guide to Collaboration, Funding, and Community Engagement. This publication is an invaluable resource to both park and stormwater managers, as it is designed to encourage partnerships between parks and stormwater agencies to promote the use of green infrastructure in parks. Green infrastructure can provide a number of benefits in parks, including improved public access, enhanced recreational value, reduced maintenance requirements, improved drainage, and more. This guide outlines these benefits while illustrating how green infrastructure practices produce multiple benefits for the park agency, stormwater agency, and greater community. Green infrastructure practices can even have health benefits by reducing urban heat island effects, sequestering carbon dioxide, and increasing exercise benefits. The guide also offers suggestions of where to place green infrastructure within parks that already have a large amount of green space. Installing green infrastructure into parking lots, visitor centers, playing fields, wetlands, or paved trails, walkways, and roads can enhance all of the benefits this green space already provides as well as create additional drainage and water storage benefits. The guide is designed to provide a stepwise approach for building relationships with potential partners, and includes information on how to identify and engage partners, build relationships, involve the community, leverage funding opportunities, and identify green infrastructure opportunities. It includes recommendations on the types of projects that are most likely to attract positive attention and funding, and which provide a wide range of benefits. This guide also includes case studies to further illustrate how these practices can be successful. 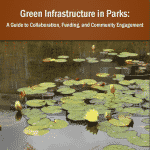 Click here to access the full Green Infrastructure in Parks Guide!